Celebrate Maine seafood and Maine Coast Fishermen’s Association’s 10th Anniversary. Celebrate Maine seafood and Maine Coast Fishermen’s Association’s 10th Anniversary! Thomaston, ME –On Tuesday, June 7, 2016, The Maine Coast Fishermen’s Association (MCFA) will be hosting Hook, Line, and Dinner at the Slipway Restaurant in Thomaston, Maine. This event will celebrate Maine’s local seafood, as well as, the 10th anniversary of the association. 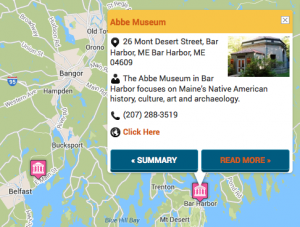 The Maine Coast Fishermen’s Association (MCFA) is a fishermen led non-profit organization that identifies and fosters ways to restore the fisheries of the Gulf of Maine and sustain Maine’s iconic fishing communities for future generations. 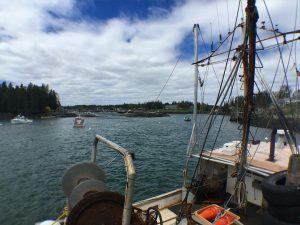 As stewards of the marine ecosystem, MCFA fishermen promote the ecological and financial sustainability of fisheries through balancing the needs of the current generation of fishermen with the long-term environmental restoration of the Gulf of Maine. MCFA works to achieve these goals through advocacy, education, outreach, and collaborative research projects. Hook, Line, and Dinner is open to the public. Tickets are $25 per person and may be purchased on our website: www.mainecoastfishermen.org or by calling (207) 619-1755 with credit/debit card information. The Slipway Restaurant is located at 24 Public Landing, Thomaston, Maine. According to their website, the Slipway is a transcendental lobster shack serving the freshest, locally-sourced seafood on the dock! Maine Coast Fishermen’s Association works tirelessly to keep our fisheries robust, our communities vibrant, and to put healthy, responsibly-harvested Maine seafood on the table. You can find more information about our organization at www.mainecoastfishermen.org.